Winner of t he coveted Consumer Travel Writer of the Year award, Adrian Phillips chats to us about Charles Dickens and Chile. How did you first get in to travel writing? Well, the truth is that I fell into it rather than getting into it… I’m certainly not a born traveller: I’ve no sense of direction and very little common sense, which makes solo travel in particular a very nerve-wracking experience. But I was completing a PhD (in crime literature between 1830 and 1847 – not the most obvious grounding for a travel-writing career!) and heard about the chance to do some proofreading on the side for Bradt Travel Guides. That led to a publishing position at the company, and then to some guidebook-writing work, and from there to writing for newspapers and magazines. I’m living, directionally-challenged proof that there’s no single route into the industry. What makes a destination a great place to write about? Funnily enough, I feel the destination is less important than the act of writing. Many people assume writing is a way to go travelling but, for me, travelling is a way to go writing. And there’s always something to write about a place, whether you’re squelching through a swamp or echoing across the flagstones of a medieval church. However, a bit of ‘otherliness’ is helpful – something exotic and unfamiliar to get your teeth into. And I tend to find my flow most readily when writing outdoors/adventure pieces. What’s your favourite destination in the whole world and why? Ah, the million-dollar question. My answer is likely to depend on my mood and what I’ve had for breakfast. But today I’d say Chile’s Carretera Austral, a gravel road running 700 miles through a landscape of canyons and glaciers and the weirdest of wildlife. 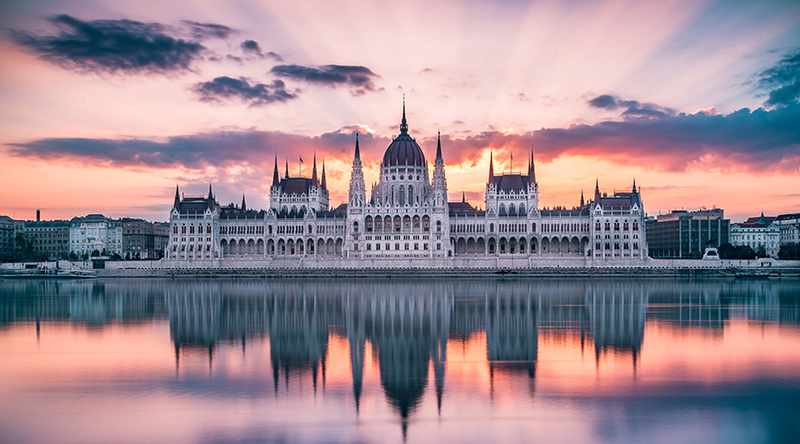 My favourite city is Budapest – romantic, walkable, and with a history of peaks and troughs that you can’t fail to find fascinating. If you could travel back in time to anywhere, when and where would you choose to go? I’d walk the streets of London with Charles Dickens. He conjured such extraordinary things from the city in his writing, from the swelling violence of a mob to the defining portrait of Christmas spirit. I’d love to watch him as he walked, to see where his eye went and what he found worth commenting upon. I’m pretty sure he’d have a good sense of direction. And that he’d welcome a pint at the end of the day. What’s on your travel wish list for 2019? Next up is Sri Lanka – whales, leopards and tea plantations – what could be better?